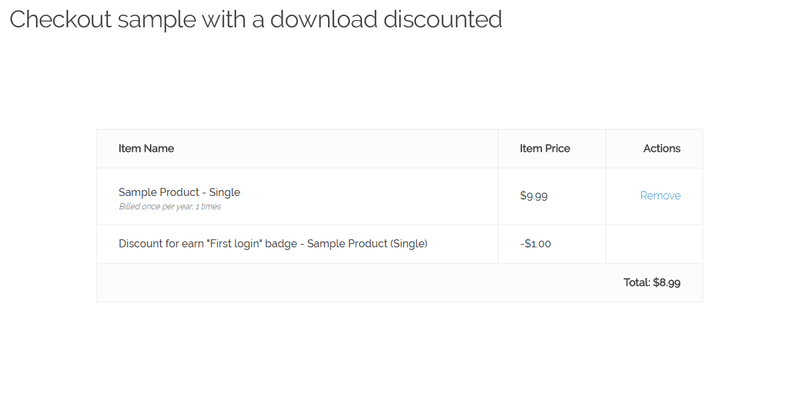 Added the ability to apply a discount to all downloads (with the ability to exclude a group of them). Added the ability to limit discount max uses and max uses per user. 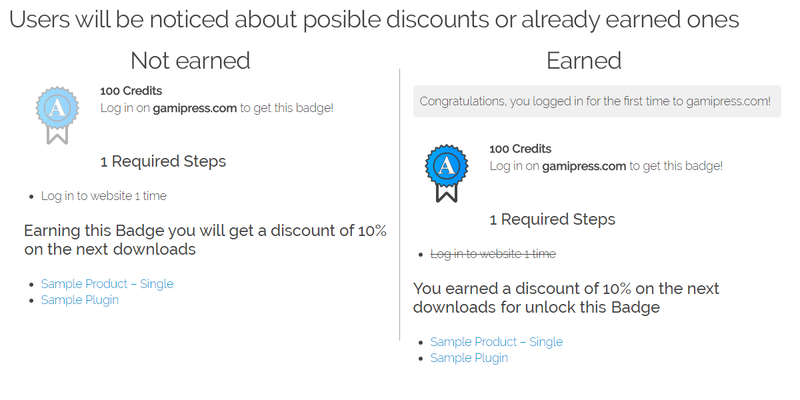 Fixed "downloads_discounts" attribute default value on [gamipress_achievement] shortcode. Prevent to show discount on admin area. Added new filters to make add-on more customizable. 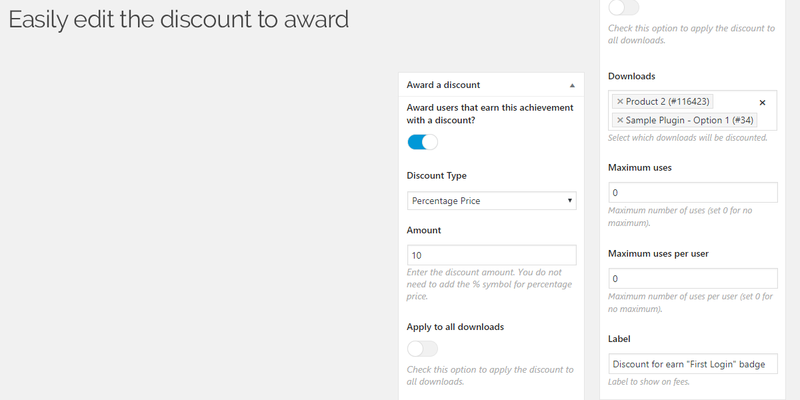 Easy Digital Downloads Discounts gives you the ability to award to your customers with discounts that will be applied to the cart automatically for completing achievements. In just a few minutes, you can award your users with a 20% off for commenting on a post or with $10 off for purchasing products. Just define the achievement and users who meet all the requirements will receive the discount automatically. Ability to award with a discount users who meet all the requirements of an achievement. 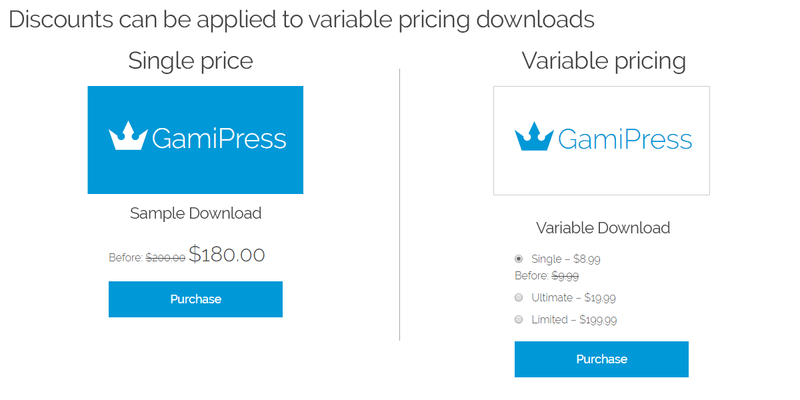 Discounts can be configured as percentage or as fixed amount. Discounts can be applied to many products as you want. Ability to limit the total number of uses. Ability to limit the maximum number of uses per user. Price will be updated at frontend with old and new prices. If user has not earned the achievement, which product(s) will be discounted on complete the achievement. If user has earned the achievement, which product(s) has been discounted for completing the achievement. In addition you can use the Easy Digital Downloads integration to add activity triggers related to Easy Digital Downloads actions.